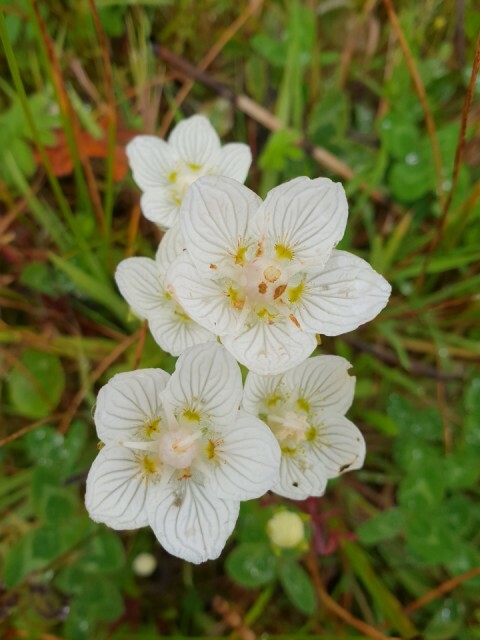 There is still a lot of Grass-of-Parnassus in bloom on Sheskinmore. It wasn't such great weather, we got caught in a heavy rain shower early on the walk on Tramore, but it didn't stop Bubbles from chasing any of the birds on the beach. We dried out later on the walk, when it cleared up.